Recently, Housing Alliance Action Fund staff traveled to Vancouver, WA to engage residents of affordable housing in the electoral process – registering voters, talking about local issues like Proposition 1 (the Vancouver housing levy), and urging people to vote on Nov 8. 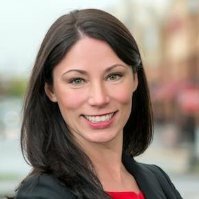 During the trip I had the pleasure of sitting down with City Councilmember and Housing Alliance Action Fund endorsed candidate Alishia Topper, who is running for State Representative in the 49th legislative district. We talked about her about her career, her hopes for Vancouver, and what drew her into political life. Becoming an elected official wasn’t something Councilmember Topper planned on. During her time working in community infrastructure and planning, she was part of the Columbia River Connector project (a 14-acre urban park and freeway cap just north of the Columbia River). With many stakeholders involved including parks and city-owned properties, she saw some of the contention and in-fighting first hand, and thought the City Council could take more leadership. She ran specifically to bring a positive voice and collaborative spirit to city hall. Once elected, Councilmember Topper went to work for the school district, in schools with higher rates of poverty like Washington Elementary in the Rose Village neighborhood of Vancouver. Last year, just blocks south of the school, a private landlord bought an apartment building and began serving 20-day no cause eviction notices on tenants who had done nothing wrong in order to renovate and increase rents. Around the same time, a national study found Vancouver was experiencing the fastest-rising rents of anywhere in the country. Councilmember Topper realized for the first time that city government needed to (and could) do something to address the city’s housing crisis. They convened a task force and passed three new ordinances that ban discrimination based on source of income and require landlords to give 60 day’s notice for no cause evictions, ultimately saving 152 families from displacement. “That’s when I realized then I wanted to do this work in Olympia,” Councilmember Topper says. “Policy is important because it’s how we get to systems change,” she continues. “There are children who can achieve anything they want in their life, but they need some assistance to get there. 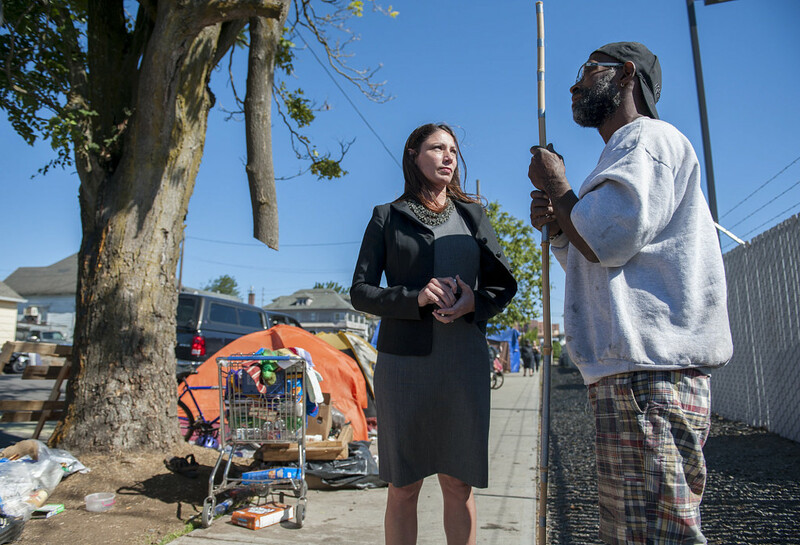 That’s one reason this housing levy is so important.” Councilmember Topper was that kid herself, and her own childhood experiences with homelessness are why she knows safe, stable homes are critical for accessing opportunity. Asked what she thinks are the most important roles for housing and homelessness advocates going into the next legislative session, Councilmember Topper stressed the importance of not just talking to lawmakers who are already supportive of our goals, but talking to those who are not as educated on our work or as supportive, to inspire them to tackle affordable housing and homelessness.